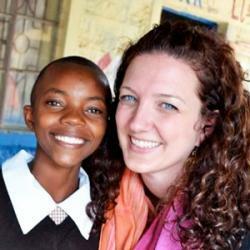 “You wanna see pictures of my little friends who live in Kenya? Have you just been introduced to Canopy Life Academy? Are you curious what makes this school so special? Or have you been in the family long enough to know Samuel Ngumbau’s voice has lowered 4 octaves in the past 2 years? Either way, you’ve come to the right place. We love telling our story. We also love when friends get excited about what’s happening at Canopy Life and want to help us get the word out! 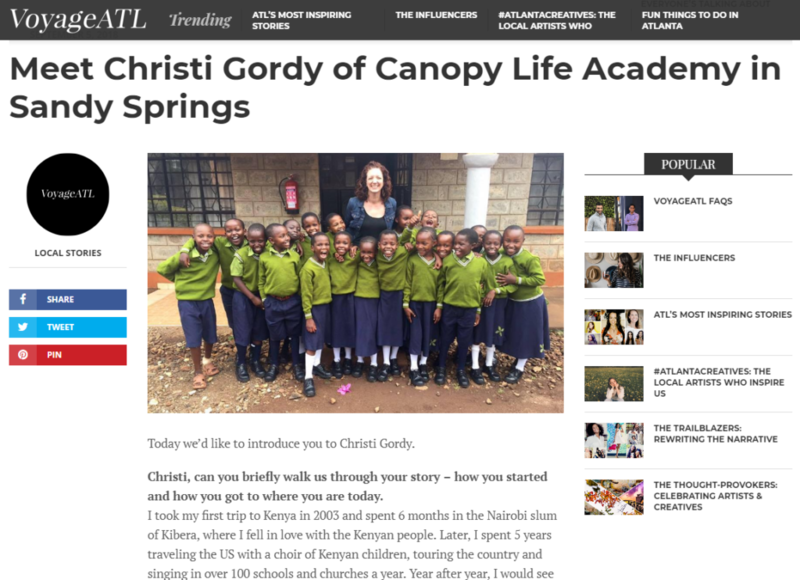 So when Christi Gordy (Canopy Life founder) was asked to interview for VoyageATL, she jumped at the opportunity to share our story with their readers. Their questions for her were authentic, such as, “What do you guys do best?” and “What were some of the struggles along the way?” We are so grateful they wanted to know the real story of how start-ups are challenging and not just the highlight reel. VoyageATL is part of a nationwide publication group with a passion to authentically represent the communities they serve. Their mission is to build a platform that fosters collaboration and support for small businesses, independent artists and entrepreneurs, local institutions and those that make Atlanta interesting. We are thrilled to be a part of the September edition of VoyageATL’S Inspiring Stories. Click here to read the interview! Our 2019 travel dates are up! Come adventure with us, and see for yourself.